The Milan, a 15 story doorman building at 120 West 23rd Street, has come to the end of its leasing campaign. The building’s plans for condominium conversion were well underway until financing regulations changed for FHA insured mortgages in the spring. Although the building had negotiated enough contracts to convert to condominium, the lack of viable financing finally prevented the conversion to condo. On July 5, Benjamin James announced the newly renovated would-be condo units were offered for rental, and the units have been 95% rented. With just two units remaining for rent and construction on the major renovations nearly complete, the leasing campaign draws to a conclusion. 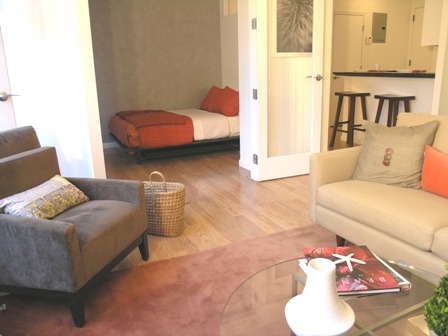 The apartments include a collection of Junior 1 Bedroom and 2 Bedroom / 2 Bathroom homes that have been gut renovated. The new units, designed for condo sale, feature open layouts, floor to ceiling windows, SubZero kitchens and custom stone tile baths. 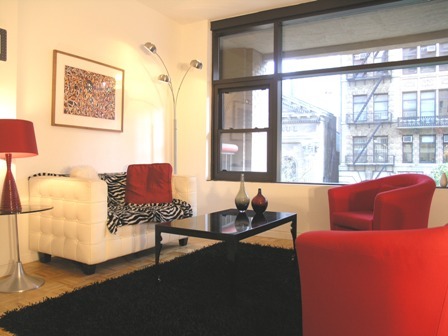 The Milan had been known in the rental community for its prominent late 1980’s design aesthetic. The design changed with this major renovation, and kitchens were opened up, black lacquer cabinets replaced by solid core maple, parquet floors were replaced by oak strip, and marble baths with Jacuzzi tubs were replaced with sandstone tile and Kohler sinks and tubs. The common hallways were also renovated on the first seven floors. Junior 1 Bedrooms rented between $2600 and $2995 per month. The 2 Bedrooms rented between $4200 and $4650 per month. The currently remaining units were used as models during the sales and leasing campaign, and represent some of the best for light, view and outdoor space. 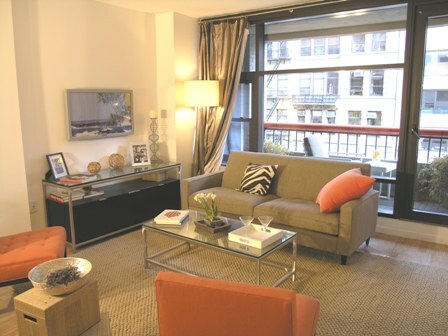 Currently, these Junior 1 Bedrooms are on the market for $2750 and $2950. Please let me know when can I see the junior 1 bed.